While our school has been 1:1 iPad for four years, students still get a lot of paper handed back to them. Scannable and other scanning to pdf applications can really help a student stay organized by allowing the opportunity to place their paper with their digital things. Scannable works by using the camera on the iPad to capture a piece of paper and then allowing the user to save it in a variety of formats and/or a variety of places. In my experience, the application is very good at capturing images off of paper. 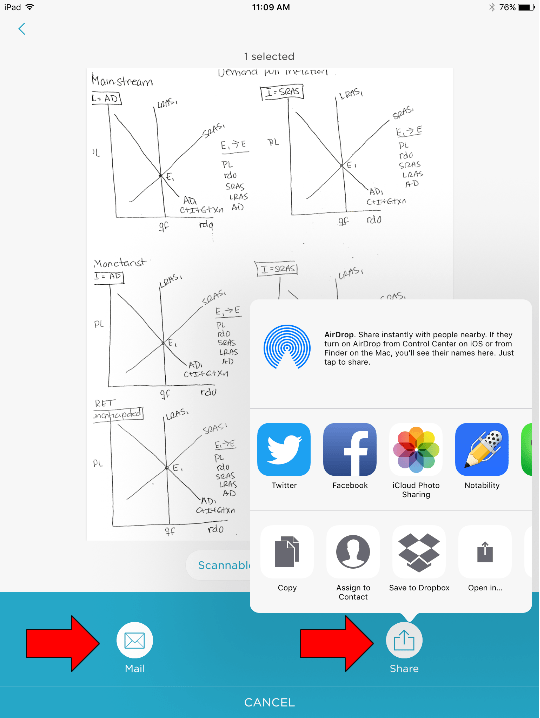 I recommend to our students that they do this with papers handed back to them so that they can then file them with their digital folders for that class. Once a scan is done, you can select the format that you want to keep the document in by selecting the icon next to the Scannable Document label. You have a couple of options of moving the document out of the application. If you choose SAVE, you can move the document to an Evernote account or the iPad’s Camera Roll. If you you choose SEND, you can either email the document or select from a number of applications to share the document with. Our students all receive Notability as their note taking application. 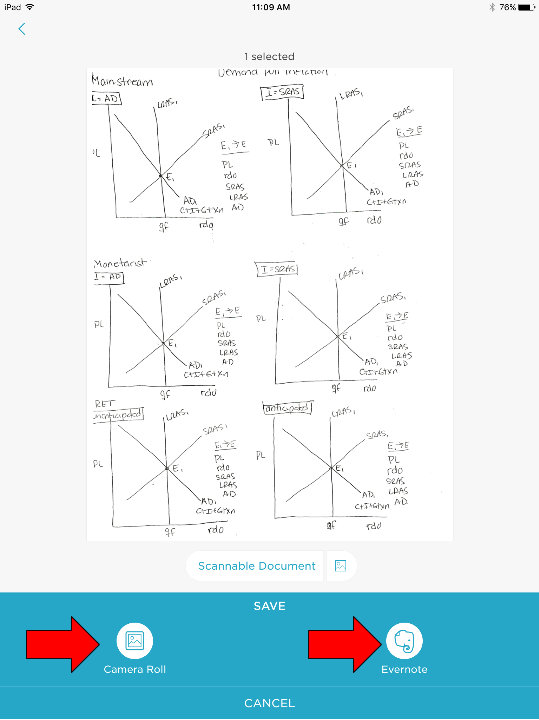 Scannable makes it easy for the student to place the document into that application as a note. As a teacher, I have used this application to scan in students’ assessed group work and then email individually the members of the group so they all have a copy of the assignment and the assessment information.